Glitter, sparkle and shine! Rainbow rainbow rainbow! 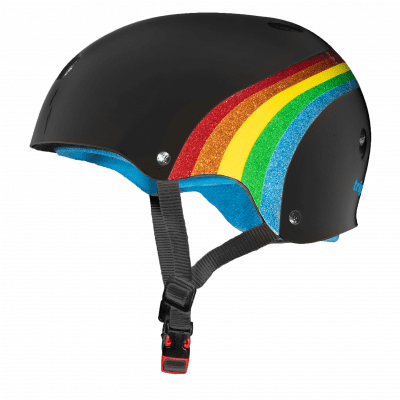 This new and improved Triple 8 helmet integrated the best of high impact absorbing EPS Foam with thick dual density soft foam and plush Sweatsaver fabric, delivering the ultimate in comfort with dual certified protection.